Auston Matthews has the top selling Jersey in the NHL this season. 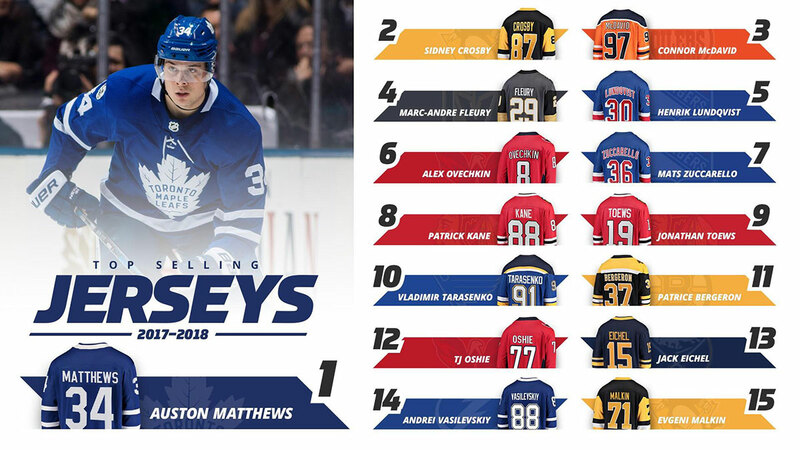 Toronto Maple Leafs star Auston Matthews had the best-selling jersey league-wide in 2017-18, with Sidney Crosby and Connor McDavid finishing second and third, respectively. Crosby topped the sales charts last year. Poor Jack Eichel really getting no love in Buffalo. Even Mats Zuccarello of the New York Rangers had more Jersey sales. It is surprising that Steven Stamkos and Nikita Kucherov did not make the top 15 in sales.